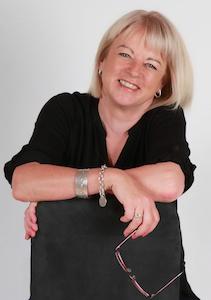 Hi Tea and welcome to the RWA Author Spotlight! You have been an exceptionally busy woman lately – with five new releases coming up in the last couple of months. Congratulations! Thank you! It has been a bit of a roller coaster ride in the last couple of months. I didn’t really plan on them all being released in one big lump it was more a case of all my chickens coming home to roost at the same time. You write contemporary, historical and rural romance, which is quite a diverse collection. Where does your inspiration come from? Do you have a favourite? I’ve come to the conclusion that my inspiration comes initially from the setting. My first novel Tree Change started on my favourite beach – Pearl Beach, on the Central Coast and sort of grew from there. The Protea Boys and Passionfruit & Poetry are very much modern day Wollombi and the local town. Lily and Matilda were both born in the museum in Wollombi. I’ve been lucky enough to have access to a lot of the original documents in the museum and some fantastic help from the local historian, Carl Hoipo. Do you write an entire book prior to moving on to the next, or do you have numerous stories on the go at the same time? I always write the first draft of a story before I move on to the next one and I have to choose between my historical hat and my contemporary hat otherwise I get in a muddle, although with so many releases all at once the editing did get a bit complicated! As an ex-teacher whose life revolved around timetables I am happy to say my writing schedule is nonexistent! I am lucky to be able to organise my life around my writing and not the other way around. Do you have a writing room? If so, can you describe it for us? Do you find that having a distinct space for writing helps in the creative process? I do have a writing room, a ‘study’ overlooking my hundred acre bush block (apologies to Winnie the Pooh) but I write all over the place, inside and outside, in delicious notebooks that my daughter buys me or on my trusty Mac book. I recently turned the garage into a library and in the winter it is a wonderful place because the sun comes streaming in the old arched doors. In the summer it is cooler outside under the vines and I’m quite partial to the museum or café in Wollombi if I need inspiration. Of all the characters you’ve created, which one is your favourite? That’s a bit difficult. Currently I think my favourite is my latest hero he’s such a mass of contradictions, a bit like a cryptic crossword! And picking my favourite heroine is just too hard although I do admire their determination – all of them! I’ve got a couple of favourite secondary characters – there’s Jem the aboriginal stockman who appears in Lily’s Leap and Matilda’s Freedom and I love Jeanie’s grandmother in Passionfruit & Poetry. Plotter or panster? Character driven or situation? I started out as a panster but last November I signed up for NaNo and Smackdown and had to produce a synopsis before I started writing. I was horrified but it made it so much easier, even though the plot changed a bit along the way. Since then I’ve been a dedicated plotter. I think you need to be a bit more of a plotter if you are writing historical romance because of the research. It’s a bit difficult to have your hero and heroine driving off into the sunset only to discover they hadn’t invented motor cars!! And my stories are a combination of character driven and situation…. What’s the best piece of advice you’ve been given about writing? Can you tell your readers something about you they would never guess? I have an irrational fear of speaking on the telephone and a scar through my right eyebrow from falling through a shop window! Can you tell us about your new release, Matilda’s Freedom? Perhaps give us a sneak peek? 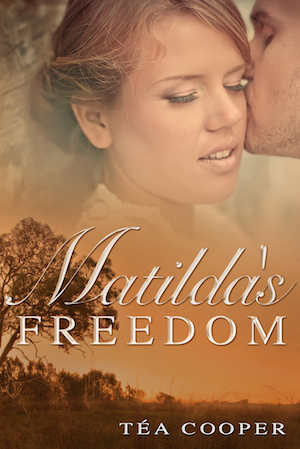 Matilda’s Freedom is an Australian historical romance set in The Hunter Valley in the mid nineteenth century. 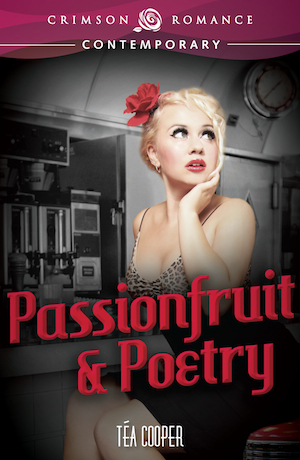 Your list of 2013 releases include: The Protea Boys, Passionfruit & Poetry, Lily’s Leap and A Winning Streak. Can you tell us a little about each one? The Protea Boys is a rural romance, an inverted falling for the boss story! Georgie turns her back on her sophisticated Sydney life to renovate her parent’s old flower farm and she and her friend Hillary hatch a madcap scheme and so The Protea Boys are born. Passionfruit & Poetry is the classic Cinderella story. Jeanie is a small town girl happily running a café with her grandmother until her life takes an unexpected turn and she finds herself unwillingly thrown into the limelight. Lily’s Leap was my first historical romance. Like Matilda’s Freedom it is set in eighteenth century Wollombi and Sydney but it is a bit more of a romantic romp, lots of horses and bushrangers and odd characters. A Winning Streak is a historical novella – my take on the story of Atalantê, the virgin huntress. Tea is giving away three ebooks from either her historical romances collection (Lily’s Leap, Matilda’s Freedom and A Winning Streak), or her contemporary romances (Tree Change, The Protea Boys and Passionfruit & Poetry). To be in the running, simply leave a comment here for Tea. This competition is open worldwide and will be drawn on the 23rd of July. The winner will be notified. Riding the Waves Conference Spotlight – Survivor: Submission Island! Aha! So that’s why you didn’t phone me when you guys were in Margaret River! You, Ms Tea, are BUSTED! Lovely interview by a very busy lady. Well done, Tea. Note to self “Do not answer blog questions truthfully” you will be BUSTED! Thanks for stopping by Linda – you might be in the running for three books! That would just be too exciting! Woo hoo! Love that you chose the name Jeanie for your heroine – it’s an old family name for me (with that spelling). Never seen anyone else with the same name that’s not a family member! Thank you! Hi Sam Still Reading – Jeanie is a family name for me too. My great aunt but she was really Joan – hence the one ‘n’! Lara the planster…I’ve just today totally blown all my good intentions. The latest heroine appears to have a mind of her own! Hope you enjoy The Protea Boys. And Kerrie – ah ha! Loved your comments in the Interview and I can’t wait to read The Protea Boys. Thanks Wendy! I hope you enjoy The Protea Boys. SE – so when are we doing it? Great interview Tea. You do realise, that when the HRW come to visit, you may not be able to get rid of us! The scenery at Wollombi is beautiful. I can feel my creativity bubbling at the thought! And the winner is……Linda Lee Williams! A huge congratulations to you Linda! Enjoy your selection of Tea Cooper novels! I’m so excited! I’ve read only The Protea Boys…so whatever you want to send, I’ll be happy. Thanks! I’ll be in touch Linda! Thanks Sarah Belle for organising and picking a winner! !